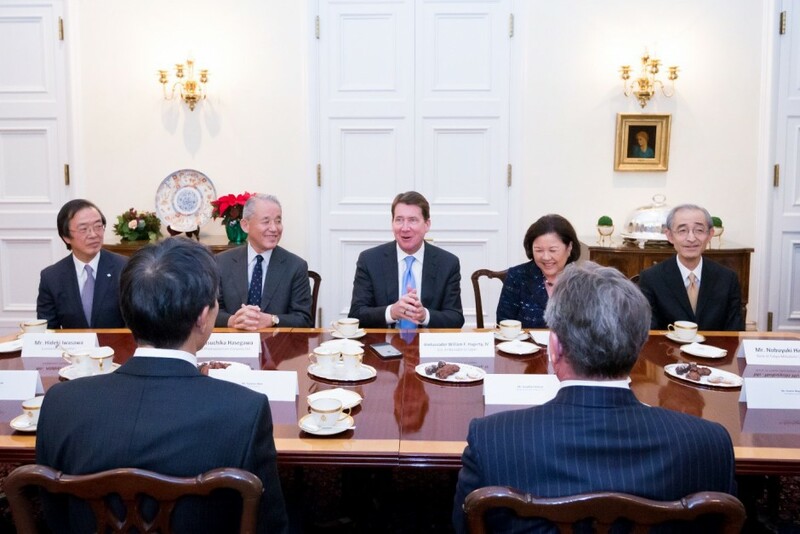 December 6, 2017 － The TOMODACHI Initiative, administered by the U.S.-Japan Council (Japan), announced yesterday an enhanced partnership for next generation leaders in the United States and Japan at a reception hosted by U.S. 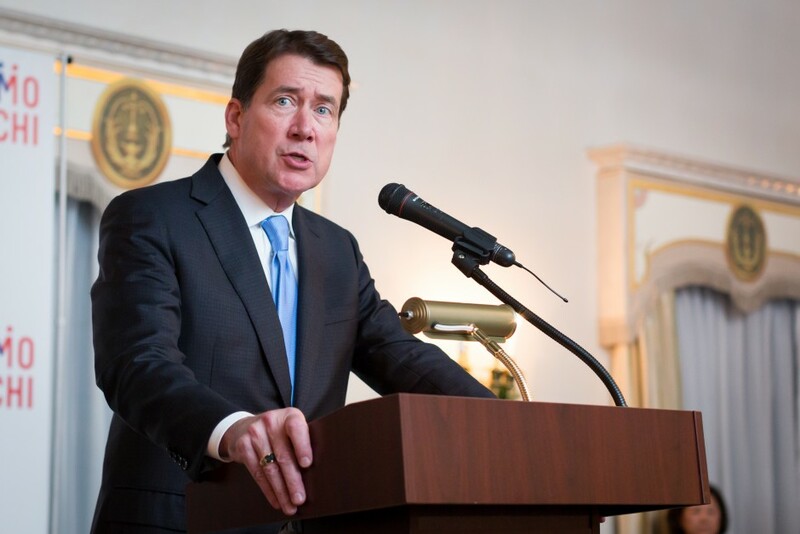 Ambassador to Japan William F. Hagerty at his official Residence. Over 150 guests, representing donor companies, government, non-profit organizations and TOMODACHI alumni attended the reception, including Minister for Reconstruction Masayoshi Yoshino, representing the Government of Japan, and Governor of Fukushima Prefecture Masao Uchibori. Prior to the reception, Ambassador Hagerty held a round-table discussion with senior representatives of several TOMODACHI donor companies. 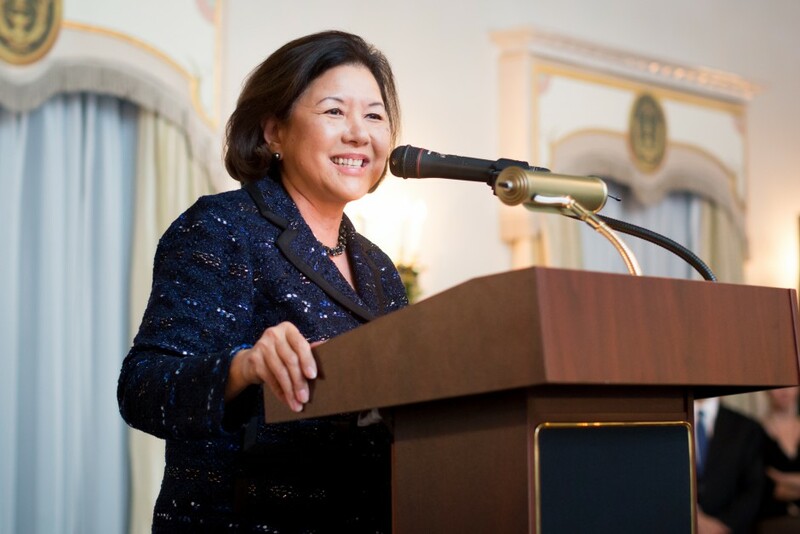 The discussion was led by Irene Hirano Inouye, President of the U.S.-Japan Council, and the attendees discussed the role of TOMODACHI in U.S.-Japan relations, and the importance of investing in the development of next generation leaders. Several announcements were also made at the reception, including the extension of partnerships with FAST RETAILING CO., LTD., Johnson & Johnson Family of Companies in Japan, Honda Motor Co., Ltd., Mitsubishi UFJ Financial Group Inc., and Sumitomo Corporation, with commitments through 2020 and 2021. The reception also featured nine TOMODACHI alumni, with two sharing their experiences from their TOMODACHI programs and their commitment to thriving as next generation leaders. 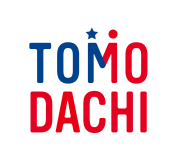 Over 6,700 alumni have participated in TOMODACHI programs since TOMODACHI’s inception in 2012.